We’re very proud to be among the honorees of the 2011 National Design Awards, announced this morning by the Smithsonian’s Cooper-Hewitt National Design Museum. 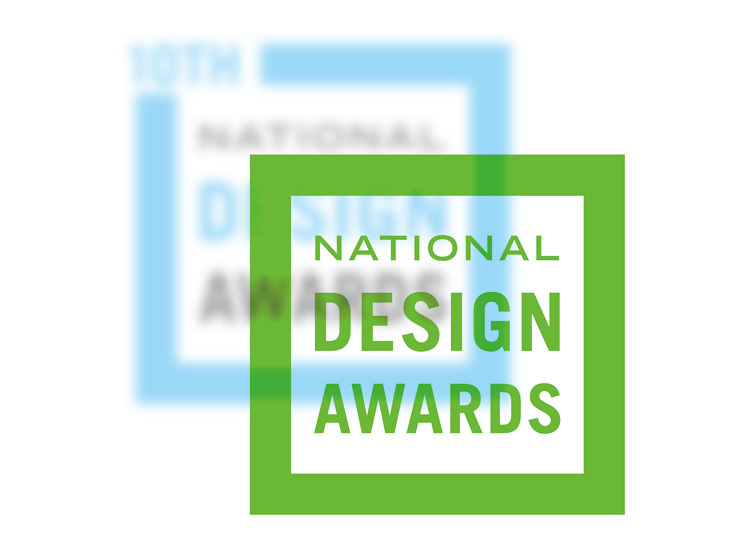 An official White House project created to increase national awareness of the role of design, the National Design Awards are given annually in recognition of excellence, innovation, and lasting achievement in design. 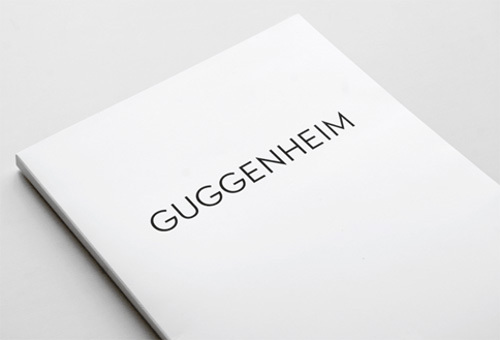 Now in its twelfth year, the award celebrates the achievements of designers in ten categories from architecture to fashion. In 2009, we became the first type foundry ever to be recognized by this prestigious award, celebrated at a special luncheon at the White House hosted by first lady Michelle Obama. It is a great privilege to return to the White House once again, to accept this award on behalf of our entire team. 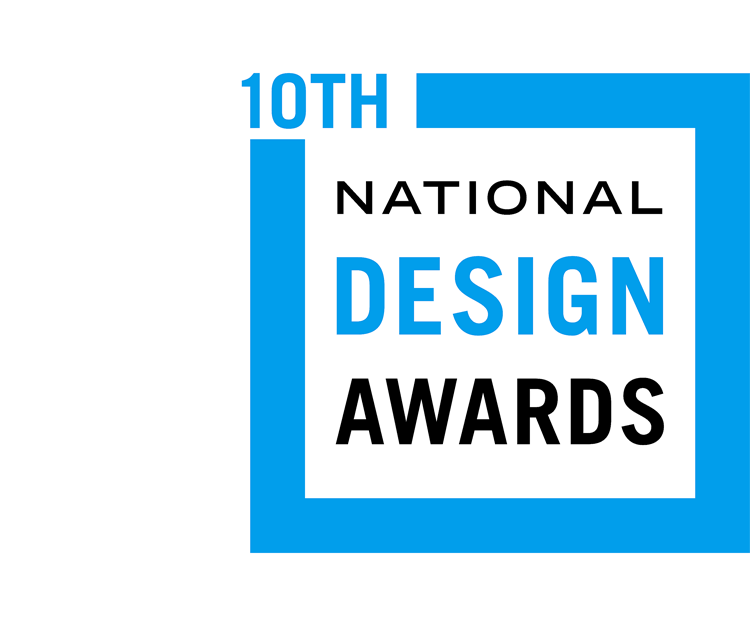 We are once again honored to be in such distinguished company at the National Design Awards. In recognition of his extraordinary influence on both the study and practice of graphic design, Steve Heller will receive the 2011 Design Mind award. Ben Fry, co-architect of the Processing programming language, will be recognized for his groundbreaking work in data visualization with the award for Interactive Design. And of special significance to everyone in our industry is the 2011 Lifetime Achievement Award, which this year will be presented to our longtime friend and colleague, type designer Matthew Carter. 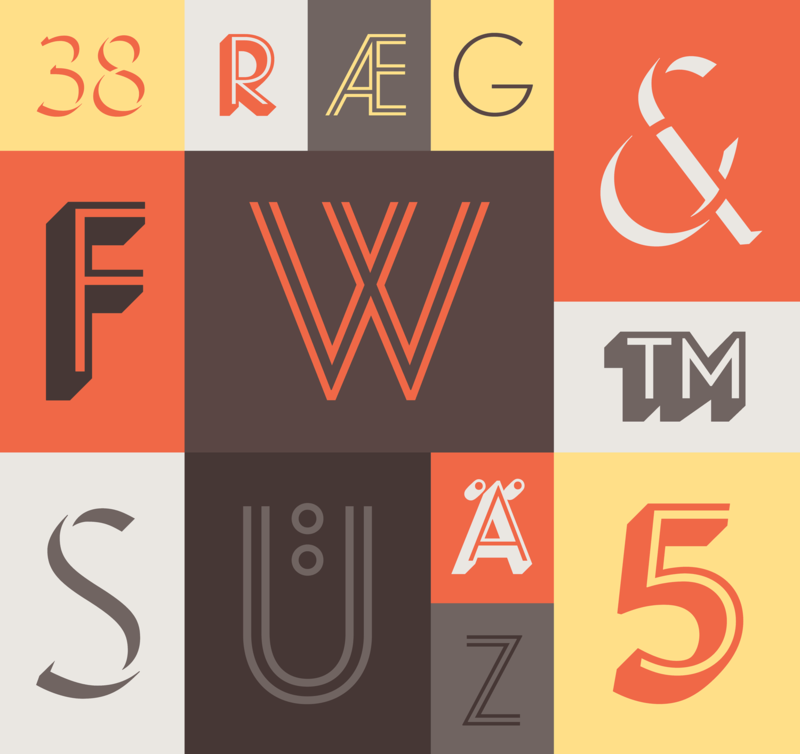 These are extraordinary times for typeface design. 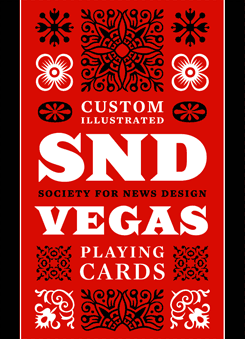 We have received the great honor of being selected as an honoree in this year’s National Design Awards, and are especially proud to be the first type foundry ever to be recognized by this prestigious award. An official White House project created to increase national awareness of the role of design, the National Design Awards are given annually by the Smithsonian’s Cooper-Hewitt National Design Museum in recognition of excellence, innovation, and lasting achievement in design. A highlight of the award has traditionally been a reception for honorees at the White House, hosted by the first lady. 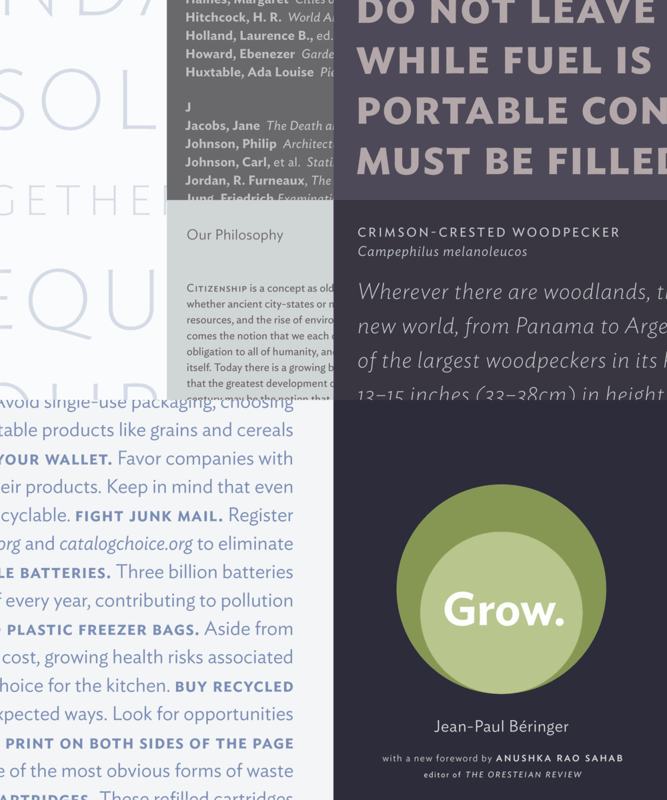 The typeface we designed for The Nature Conservancy is an extension of our Requiem font, which explores the work of sixteenth century scribe Ludovico Vicentino degli Arrighi (1480–1527). Arrighi is best remembered as an exemplar of the written italic, but his upright roman capitals capture an interesting balance of calligraphic and typographic traditions. The three variations of the capital T on the left offer different ways of reconciling the influences of the seriffed inscriptional letter and the swashed written one, and it was this kind of tension that we hoped to explore further. 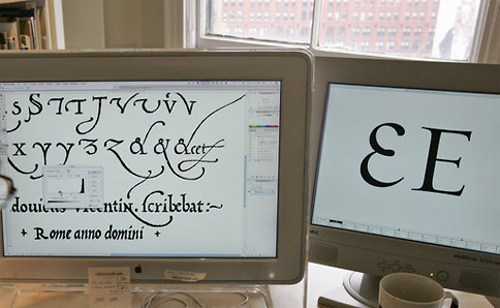 On the left screen is an enlargement from Arrighi’s 1523 writing manual Il Modo de Temperare le Penne, and on the right are two variations of the capital E in the font we designed. The cursive form on the left was one of the first digital drawings made by designer Andy Clymer, and we all thought it was immediately successful. 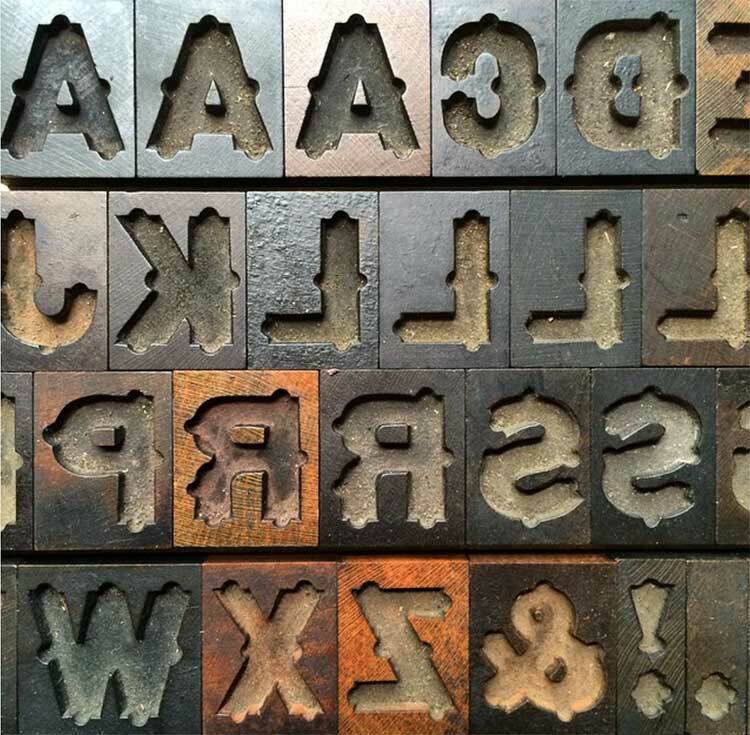 In the final font, it’s almost perfectly preserved from this initial stage. The Nature Conservancy is one of the world’s most effective advocates for biodiversity. Learn more about what they do, and how you can help.